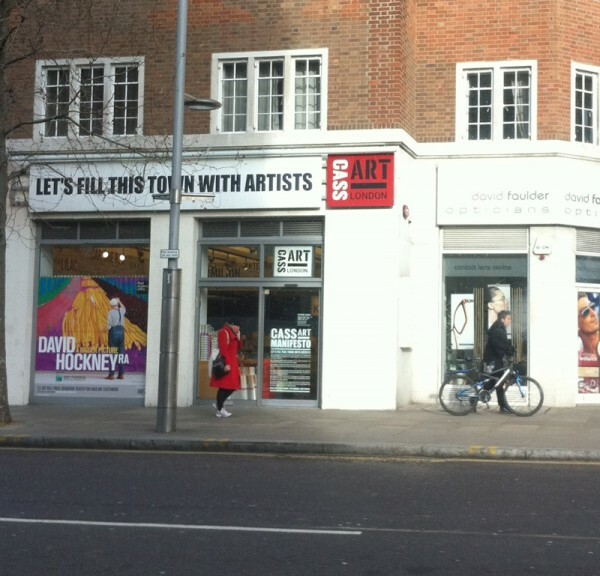 The art supplies tour of London. – Leigh Reyes. My Life As a Verb. 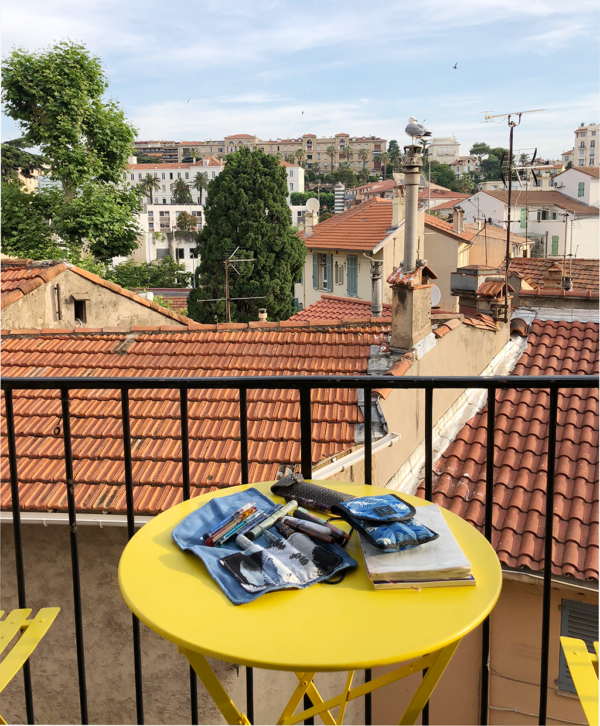 One of the great things about the Fountain Pen Network is how helpful forum members are. 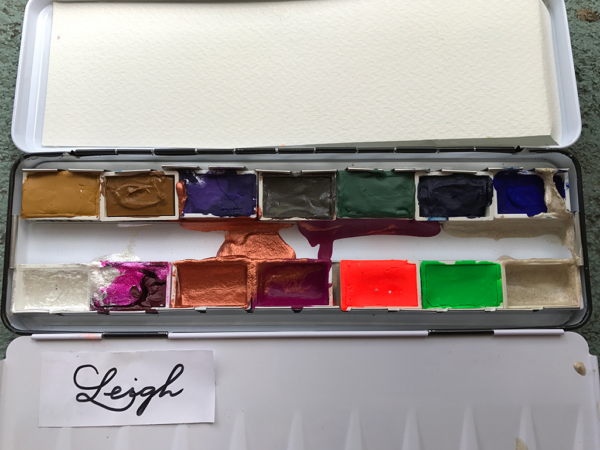 Thanks to this thread, what began as a search for fountain pens became my very own art supplies tour of London. 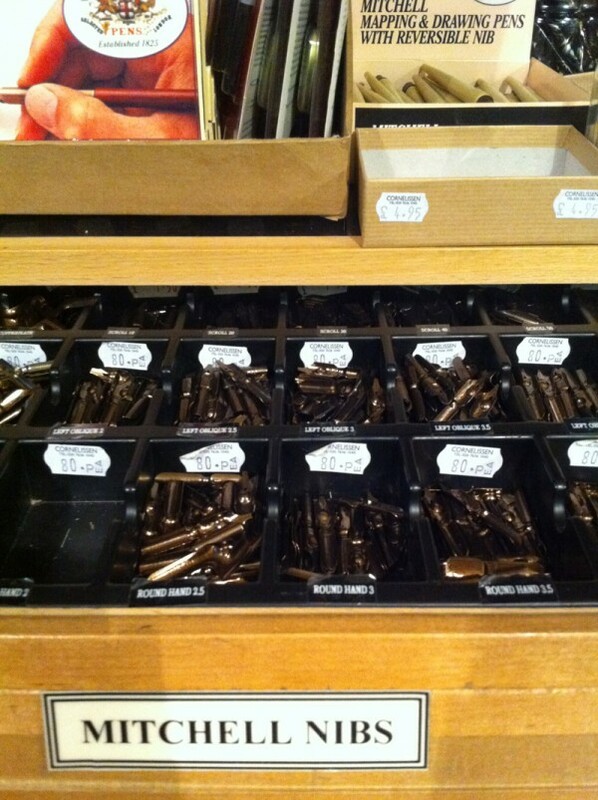 Calligraphy supplies occupy an entire section at Green and Stone. 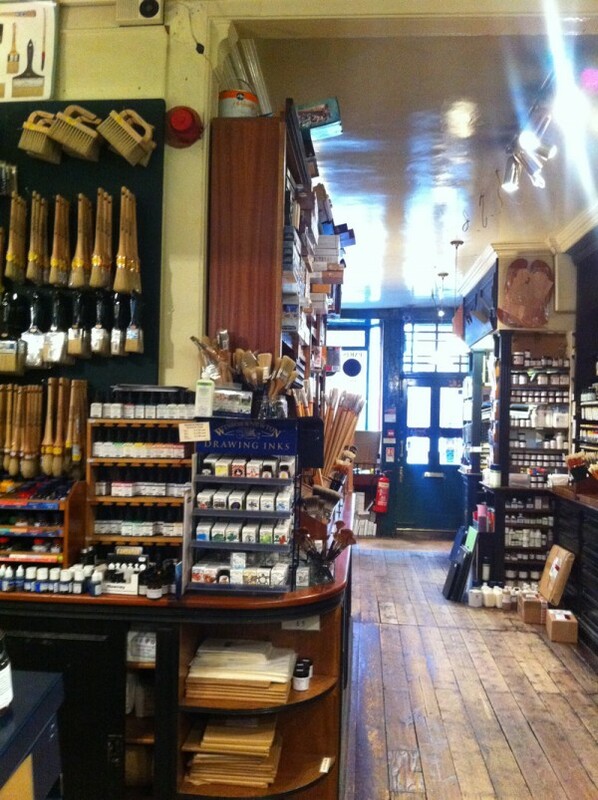 Near the British Museum is L. Cornelissen and Son, “Artists’ Colourmen.” Also “London’s longest established art materials supplier.” Walking into this shop is walking into heaven. Heaven with creaky wooden floors. 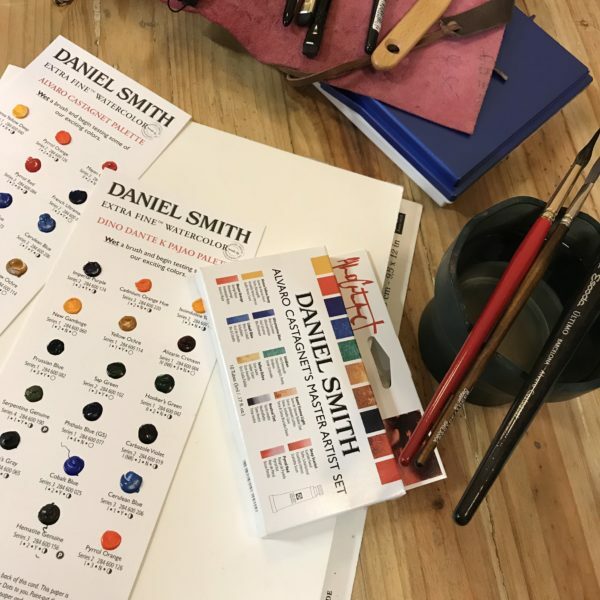 Both Green and Stone and Cornelissen have house brands of watercolor and drawing paper, bound into books. 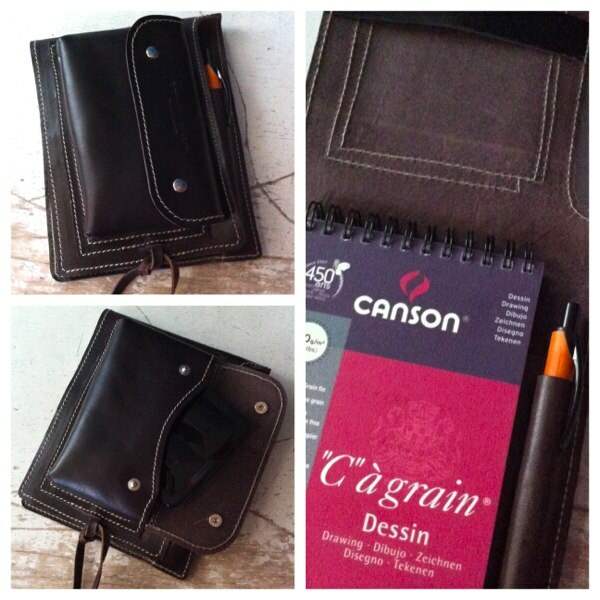 Cornelissen also has artist’s accessories made of leather. 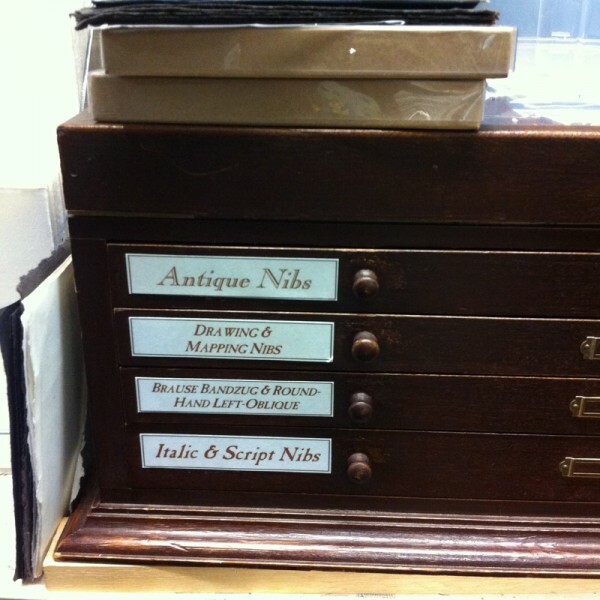 I also visited London Graphic Centre in Covent Garden. I narrowly avoided buying Pantone socks. They have huge floor space, most anything an artist or art student would need, and a lovely person on the second floor who gave me directions to Forbidden Planet and ran after me because I’d left my wallet on the counter. Bye, Cass Art. I had fun. I also spent way too much time in Waterstone’s and Forbidden Planet, and museums. 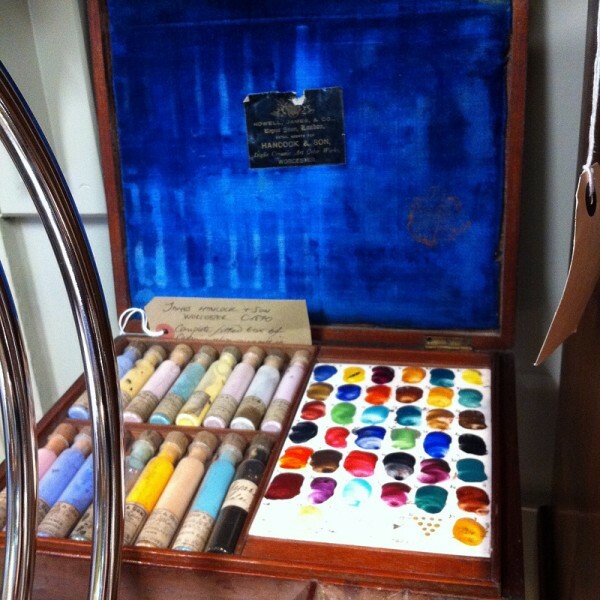 Art supply shops and museums are inspiration’s own vicious cycle. So, on to the (partial) haul. 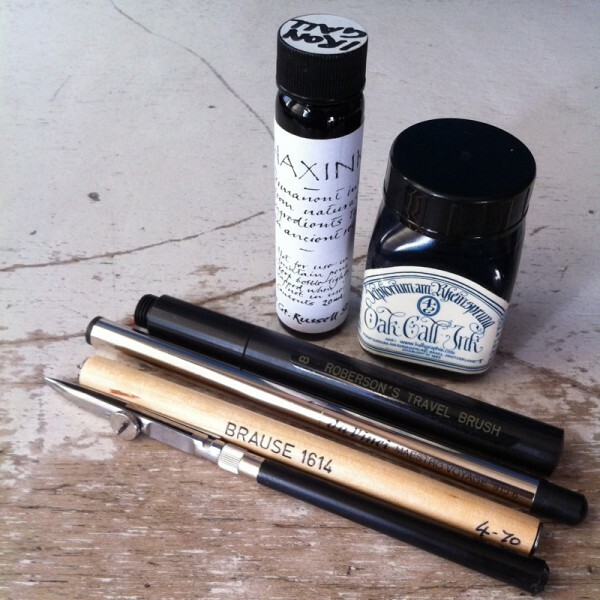 Haxink is iron gall ink. Beside it is oak gall. 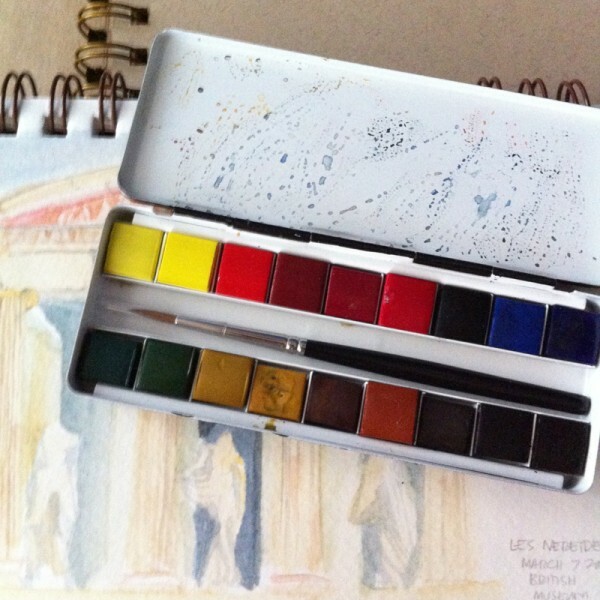 The Roberson’s travel brush is a dead ringer for the Da Vinci version. It makes me wonder if they’re from a single supplier. The Da Vinci Maestro Voyage has an inner metal sleeve that retracts to expose the brush, just like a Shu Uemura lip brush. 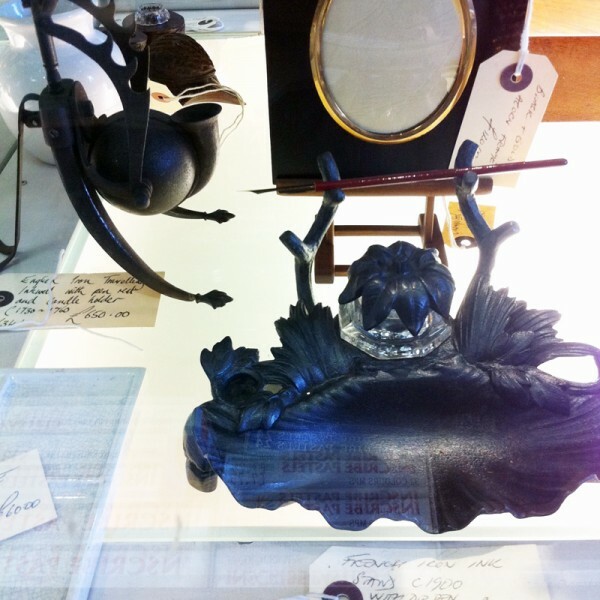 The Brause is a double-ended nib holder. The ruling pen has stainless steel, hand-ground tips. 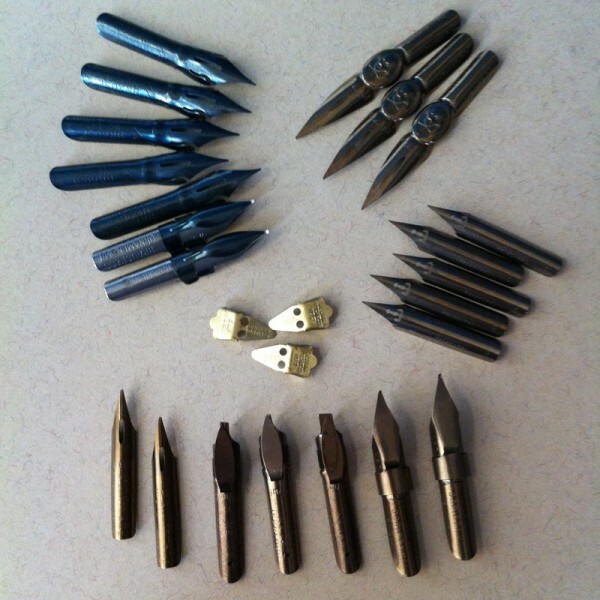 An assortment of nibs, including Brause 180, and Leonardt’s Principal EF. 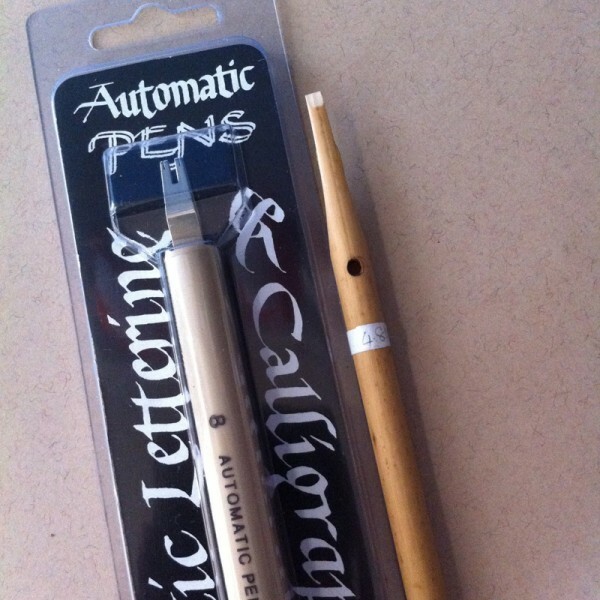 More calligraphy fun from a classic automatic pen and a bamboo pen. 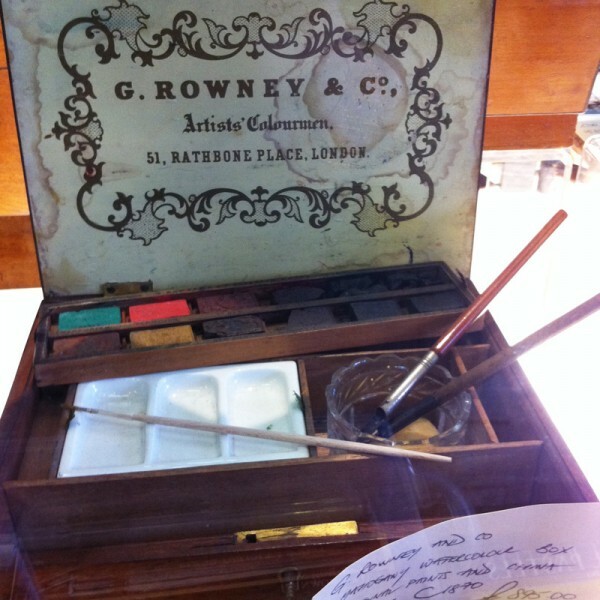 After seeing Steve and Christina’s little Daler-Rowney set, I had to have my own. 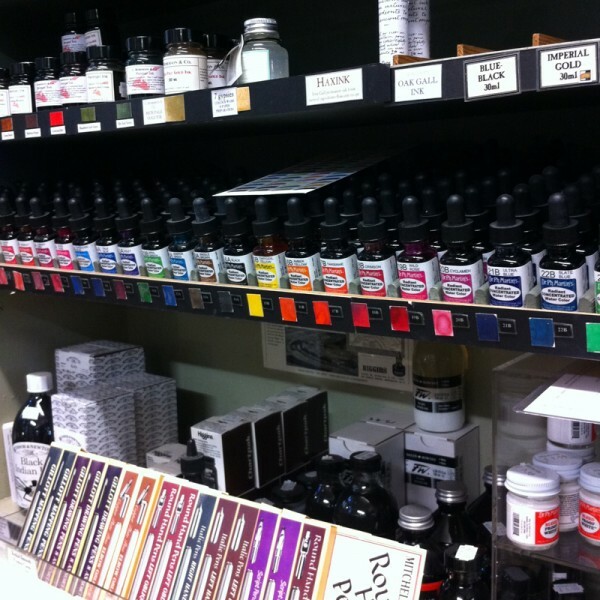 It’s available at both Green and Stone and Cornelissen. Quarter pans are such a rarity. I wonder if they can be bought empty, like half and full pans? 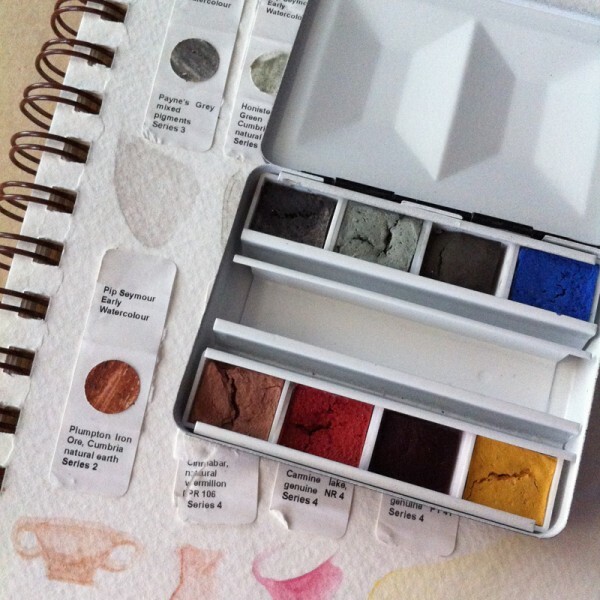 I filled an empty tin I found in London Graphic Centre with 8 half-pans of Pip Seymour Early Watercolors from Cornelissen. This line is an attempt to reproduce what watercolor artists had to work with in the 19th century, or even earlier. Thank you, London, for being such an enabler.